Rocco recently finished an engagement at the World Famous Crazy Horse in Paris, France. 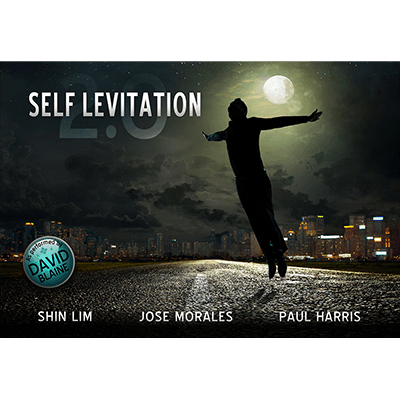 His highly acclaimed act features some of his greatest techniques and some never before seen effects. For the first time, Rocco is making his act available to you. 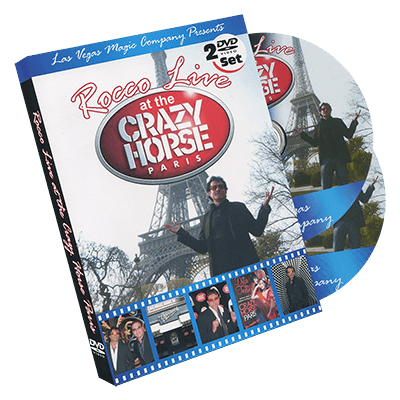 In this two disc DVD set, Rocco will teach you some of the magic that has made him one of the most sought after performers in the world. 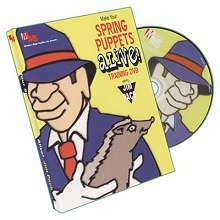 Disc one includes live footage of Rocco performing his Crazy Horse act. He then goes into incredible detailed explanations showing you the pre-show set-up, techniques, and step-by-step instructions for making and performing Slydini's Newspaper Tear. Disc two starts with an introduction to the art of sleeving. On this DVD, Rocco teaches the fundamentals of sleeving. On this DVD, Rocco teaches the fundamentals of sleeving as well as several bonus effects. He will also include two additional bonus effects taught to him by the Great Slydini. Rocco was a student of the legendary Slydini, and is the recipient of many awards in magic including the FISM award for "Most Original Act". It is very rare that a magician of this caliber would release their complete act to the magic community. This is your chance to learn from one of the masters of magic.